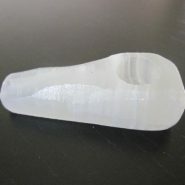 Glass Smoking Pipes & Stone Pipes store for weed users,The Pipe Depot. Posted by: Dan Gold The Pipe Depot is committed to offering the best pipe smoking products for weed and a class of customer service next to none. We are therefore proud to collaborate with the Deals Zone so that we can offer everyone the most enjoyable pipe smoking shopping experience. Our pipes smoking company offers a plethora of products so we can cater to every smoker and meet and exceed their expectations. We carry a wide assortment of glass smoking pipes for those who enjoy the cleaner taste that glass pipes offer free from any woody residue. Then to satisfy the smoker who enjoys their pipe to be porous and have some of the insular properties that add a tinge of something extra to their smoking experience while paying homage to the rich traditions of pipe smoking. We do this by offering an expansive array of wood smoking pipes made of the finest materials to bridge the spirit of pipe smoking to the recreational realm truly making it a spiritual experience for those who want a deeper involvement with their cannabis or tobacco products. In addition we offer a variety of stone smoking pipes for those who, like the advocates of the glass smoking pipes, enjoy that clean taste offered by glass but prefer the primitive aesthetics of carved stone and the smooth, cool touch. Smokers also love the durability of stone smoking pipes and many report that using this type of pipe offers more powerful hits. Finally, the Pipe Depot understands that pipe smoking is a rich part of our American culture and has a number of roots stemming from international locales, which is why we offer stylish pipe smoking accessories so that our customers can fully represent their own pipe smoking heritage. Whether you simply require a hemp grinder or you seek a cool lighter that reflects your calming mood when you“toke it” after a hard day’s work, we have it all and invite you to explore our money-saving store today! Bob Marley once said, “when you smoke the herb it reveals you to yourself”. We at the Pipe Depot are here to facilitate our amazing customers and help each and every one of them come to know “the self“ through the calming, spiritual and awakening experience that pipe smoking offers! When it comes down to how to choose a smoking stone, glass, wood pipes to best suit the experience you seek, let the Pipe Depot guide you and educate you on the finer details! Regardless of the smoking pipe type that you order from the Pipe Depot, every single one of our pipes is hand-made to the highest standards. Our smoking pipes are also highly durable and are designed to have a lengthy lifespan. Our glass smoking pipes and stone smoking pipes offer a tasteless experience, while wood smoking pipes will sometimes provide a slight hint of taste from the wood’s makeup—an act that many regard as a spiritual one. All of our pipes have an amazing design to suit any lifestyle and reflect a visual appeal to any pipe smoking customer across the board. We would be honored to receive your questions, so contact the Pipe Depot if you want to know what the most popular smoking pipe is and we will help pair you with the perfect pipe to fit your unique essence! Tip 2: What is the Most Popular Smoking Pipe? Aside from the Pipe Depot sales statistics, all pipe smoking shops agree that wood pipes are the most popular style of smoking pipes. Wood smoking pipes are easier to smoke, they are lightweight, and heat-resistant. The only disadvantage is they tend to have a shorter lifespan and therefore require more care. If your number one purchasing requirement is durability, the Pipe Depot recommends one of our hand-carved stone pipes. You can throw them in your backpack or sit on them and the likeliness of any damage taking place is nearly nonexistent. Just check out our exciting product line and find the pipe that speaks to you and if you are new to smoking give us a call and we will teach you how to smoke a pipe while making a new friend all at the same time! Once the flow is smooth light the tobacco while moving the flame in a circular motion while drawing puffs through the stem. For full pipe enjoyment let the flame go out and repeat the action. Pipe smoking is fun, simple, and it offers a great way to relax or meditate. All of our pipes are designed for optimum use and they are easy to clean and maintain! At the Pipe Depot we stress that knowing how to care for your pipe is vital to your overall experience. Understanding how to care for your pipe will give you more use, and understanding the difference between wood, stone, and glass pipes will help you know how to better clean and care for your smoking pipe! Tip 5: What is the Difference Between Wood, Stone, and Glass Pipes? At the end of the day, the difference between wood, stone, and glass pipes comes down to personal preference. Wood smoking pipes absorb a lot more of the tar and smoke, and it tastes of the tobaccos used which alters the taste of the smoking product over time. Glass smoking pipes are easier to clean and the tobacco taste is purer because that wood blend is non-existent. Most stone pipes are meerschaum and are hand-carved into unique designs. They offer a cleaner tobacco taste than wood and, unlike wood, the “cake” that develops in the pipe of the meerschaum is not desired. When you learn about the history of smoking pipes for weed you will be even more awakened, and the Pipe Depot encourages all to learn and feel the passion in the pages of pipe smoking history! The history of smoking pipes stems from ancient eras where pipes looked more like tubes that facilitated herbal use factoring into the arena of religious and medicinal use. Anthropologists believe that the Mayans of Central America were the first to really use pipes with tobacco reminiscent of the peace pipes that we are generally more familiar with. During the 15th century under the rule of King Ferdinand II of Spain, conquistadors and settlers exploring the New World encountered native tribes and their pipes. When brought back to Spain, Queen Isabella of Castile quickly picked up the practice of smoking pipes and soon a new trend flourished amongst a privileged few that later trickled down to all social classes across Europe. Then, in 1630, European Puritans sought North America to live under the canopy of religious freedom thus setting off to reform the Church of England and to prosper in a tax-free lifestyle away from the grip of the Crown. Also known as the Great Migration, these Anglo-Saxon families brought their smoking pipes along with them and their defiance to Charles II, His Royal Highness of Scotland, and Ireland. Charles II, deeply traumatized from watching his father beheaded at the climax of the English Civil War, was known as the “Merry Monarch” for the hedonism in his court. We can only assume he enjoyed a wide array of smoking pipes while colorful acts of debauchery unfolded before him. When it comes to where to buy the best smoking pipes, look no further than the Pipe Depot where we can set you up with a fine pipe that will make you feel like old-world royalty! Where to Buy the Best Smoking Pipes?